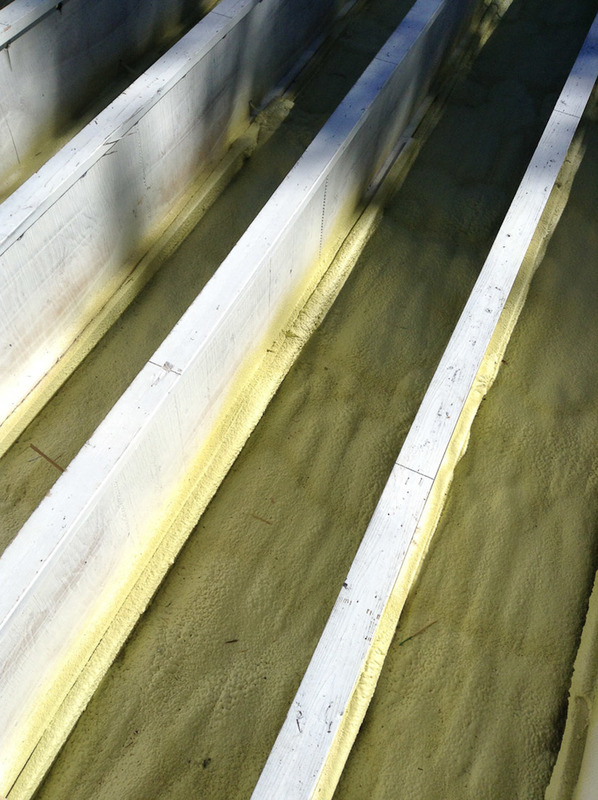 Within 3-years of completing the project, we realized the roof chamber still had a condensation problem. At this point we hired Busque Engineering to help determine the problem and develop a solution. The main problem was air leakage from the interior of the building into the cold, vented roof space. Busque Engineering informed us that air leakage path was through the concrete block walls at the perimeter of the building. The building was originally designed as a warehouse and not as a mixed use building, housing a bakery and residential units. 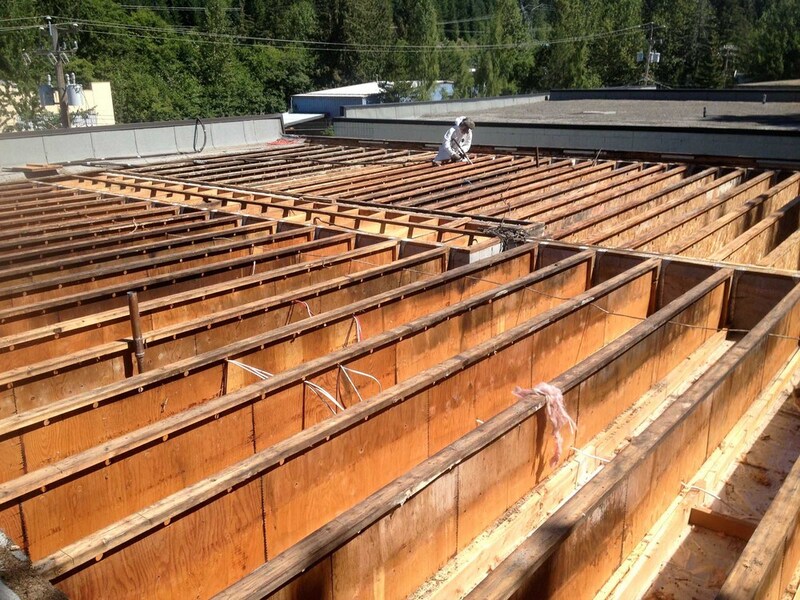 As conventional insulation strategies would have been extremely costly, the Owner of the building challenged Busque Engineering to come up with an alternative solution. 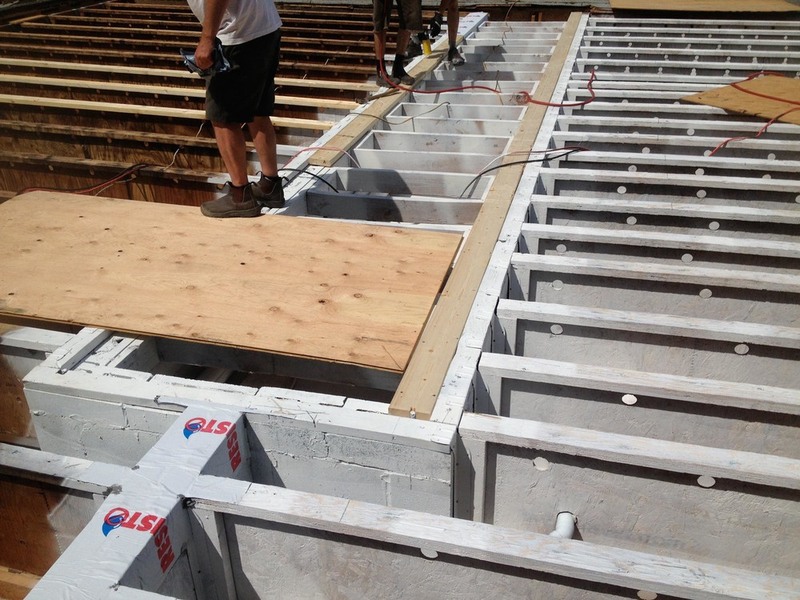 Busque Engineering opted to use a concept devised by the NRC’s Division of Building Research in 1974 and to pressurise the roof space in order to minimize leakage of warm moist air from the interior of the building into the roof space. This approach is commonly referred to setting up a dynamic buffer zone or a virtual air barrier. The building Owner, Busque Engineering and Steve St. Arnaud Contracting Ltd worked together as a team to secure the necessary permits to implement this repair approach. 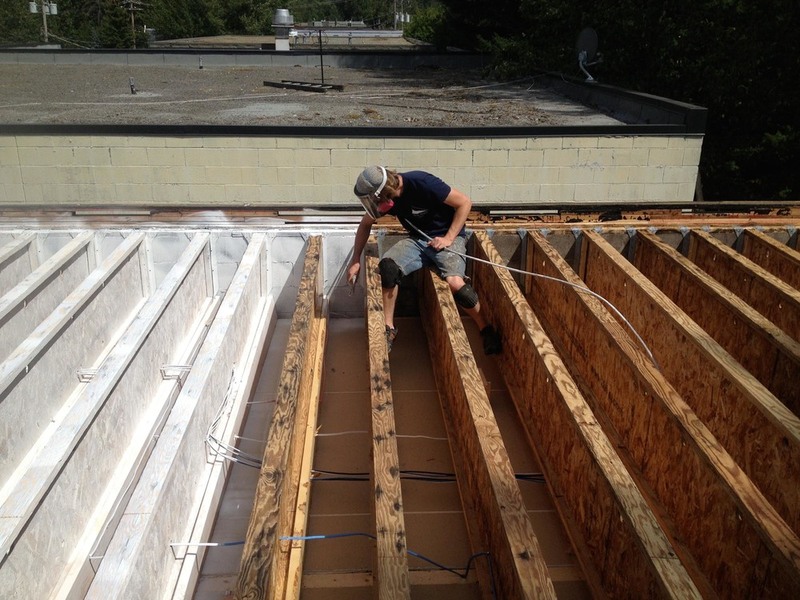 In order to verify the performance of the roof, the Owner retained SMT Research to instrument the roof. 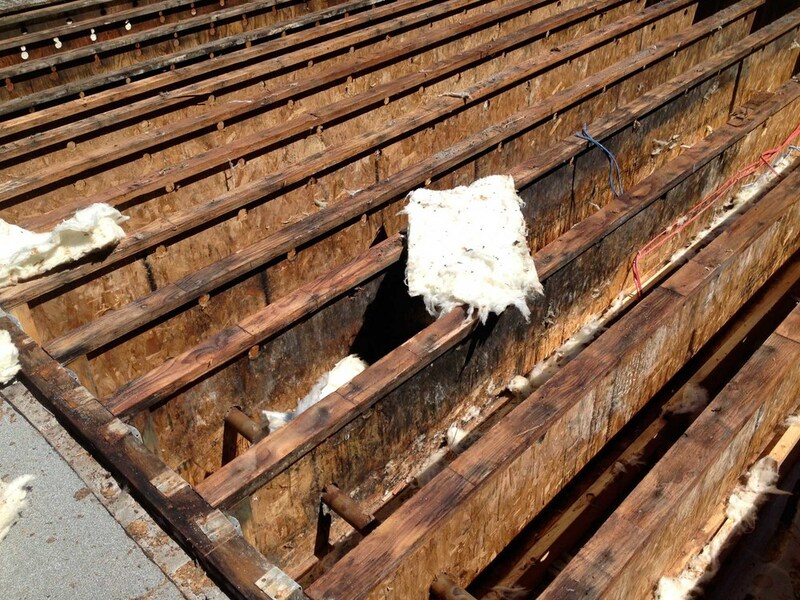 The data collected showed that the approach of pressurizing the roof space worked very well and that the moisture content of the wood sheathing of the roof remained below the threshold necessary for the growth of mould. creating an air tight chamber with spray foam insulation directly on the upper side of the ceiling gypsum board and side walls. 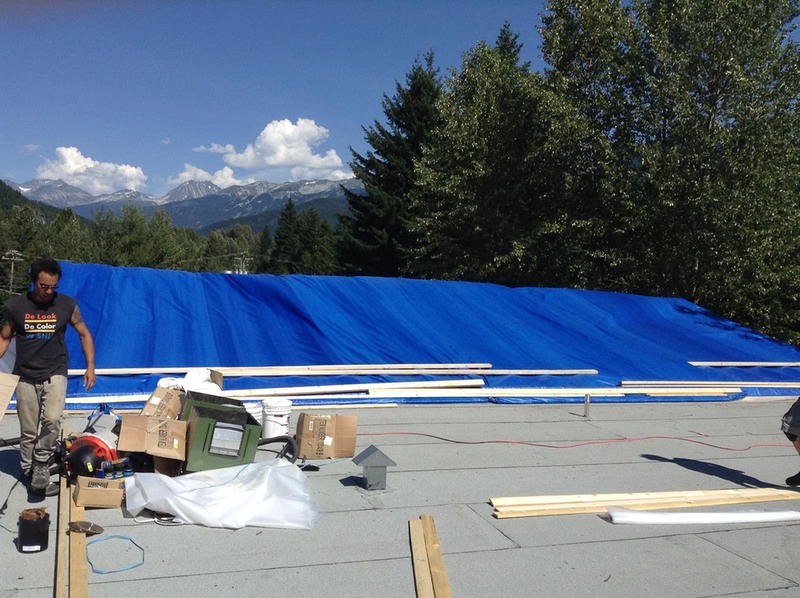 sealing the entire top surface and applying torch-on roofing. 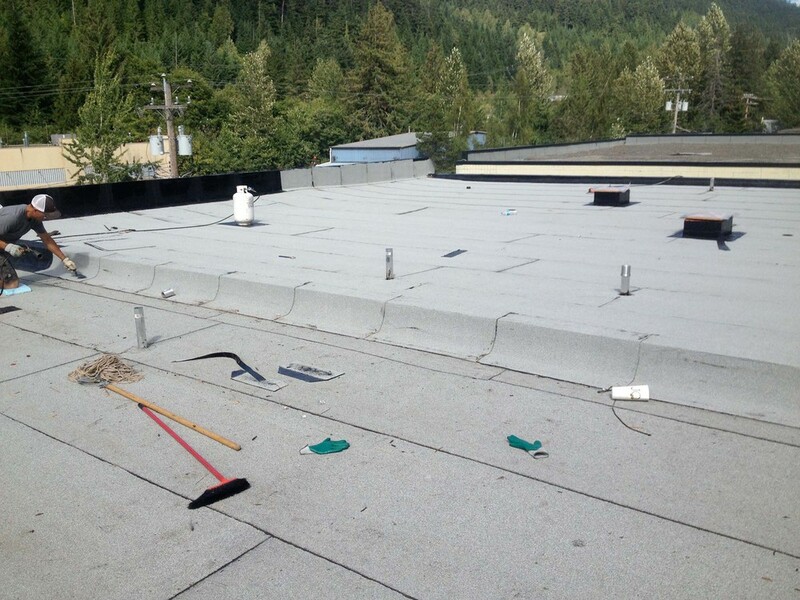 A ventilation system was prewired and installed in the roof chamber. This maintains a specific pressure of 15Pa at all times. The system is monitored round the clock.